One would think with all the needle-like whiskers in their faces, cats would smile cheerfully. There was one that grinned once, wasn’t there? Delightful! 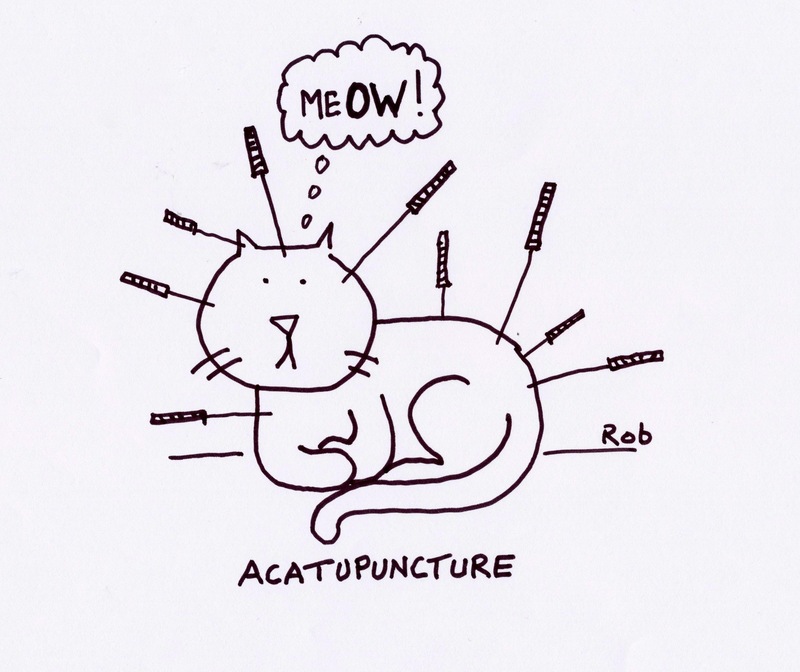 I’m a fan of both cats and acupuncture. I also have a cat that thinks he’s applying acupuncture. I’m trying to redirect his errant ways. You are such a talent. Thanks, Rob. I’ll need all the luck you can send my way and even then I’m not holding out much hope. Of course having cats in your life isn’t about compliance. The very thought sends me into a fit of giggles. Funny that. I have that very sign hanging near our entryway. I think it was a cat who wrote that.